Manufactured from 1959 to 1960. 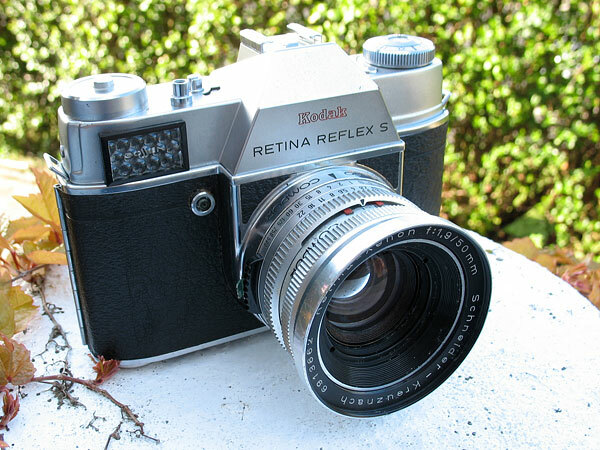 The Reflex S improved on the original Retina Reflex (type 025) in that the whole lens was interchangeable, not just the front component. 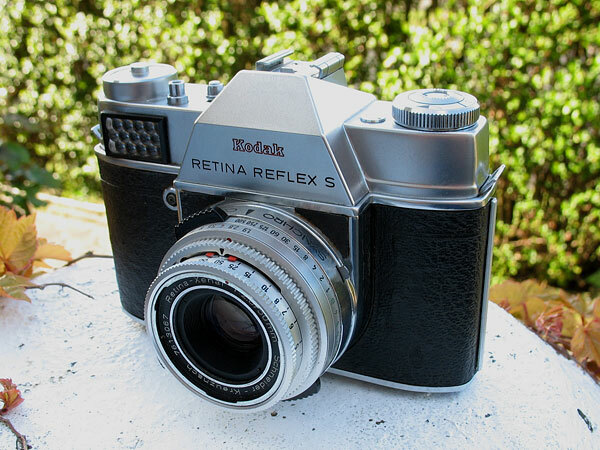 The "S" type lenses for the Reflex S were also usable on the Retina IIIS type rangefinder cameras. The camera was available with Rodenstock Heligon or Schneider Xenon 50mm f/1.9 lenses, or the Schneider Retina-Xenar or Rodenstock Ysarex f/2.8 lenses. A good selection of alternative lenses were available from 28mm to 200mm. 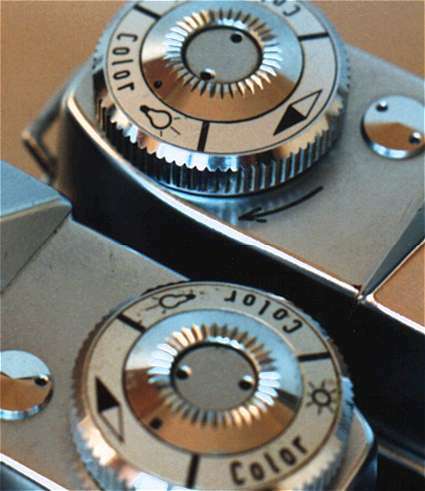 The fully-coupled exposure meter is the same as that fitted on the Retina IIIS. This one is fitted with the f/2.8 Xenar lens. and this one has the Xenar f/1.9 lens instead. I find the Reflex S to be the nicest of the Retina Reflex models to use since I prefer the top-mounted shutter release, but it should be noted that the Reflex III that followed did have one great feature not found on the Reflex S, namely you can see the exposure meter needle in the viewfinder, so you don't need to take your eye from the finder to adjust the exposure. I haven't noticed many variations of this model but of the three examples I've got here at the moment two had an engraved direction arrow next to the rewind knob and the one that was manufactured some time in between them did not!